A wonderful party was held last week at our Brighton Hall to celebrate the 27 amazing years Nirmala has been teaching and caring for our children. A group of past parents, past Room Reps, past students and staff as well as current staff, children, parents and Nirmala’s husband, Ronnie, all came together to say thank you to Nirmala for her years of service. 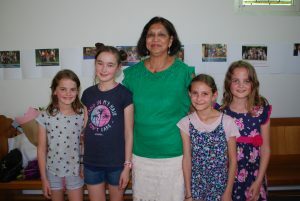 Yasmin took us down memory lane as she described some of the milestones in Nirmala’s long career at Melbourne Montessori school and there was much laughter and some tears. It was lovely to see some extremely grown up young men and women who had been children in Nirmala’s class and to hear some of the conversations between them all as they caught up the years in between. The festivities were crowned with a large cake and many photographs as children, particularly more recent children of Nirmala’s, all wanted to have their photograph taken with Nirmala. The conversations and reminiscing continued for some hours and well beyond the official finish time! 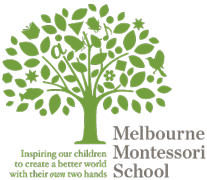 Congratulations and thank you to Nirmala for such loyal service to Melbourne Montessori School and all the very best wishes for a long and happy retirement! The Art Show opened to a packed audience last Monday night as we heard Michelle Stockley,the celebrated Senior Manager of Education at the NGV, talk to the children about the exhibition ‘MoMA: 130 Years of Modern and Contemporary Art the NGV’ which inspired much of our Junior School art program this year. 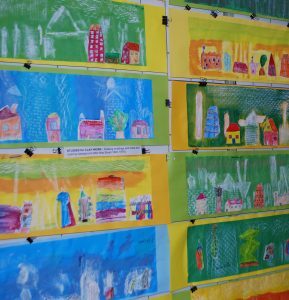 The huge range of artworks were displayed all week throughout the Caulfield Hall and Art Room. This was a special year as this is the first time that the Senior School Cycle 4 artworks were also displayed, so the Caulfield Library also hosted a selection of their artworks. Congratulations to all the children, to Jennie, Stephanie and Kymberley and thanks go to all the wonderful parents who have helped in the Art Room this year! Many of you will have seen the huge amount of progress the tramways workmen have completed already since Friday night starting at midnight. They have already dug up the old rails, replaced the old sleepers with new concrete ones and welded the new rails in place right past MMS from their starting point at the Nepean Hwy. We are grateful to our parents and staff who are dodging around the disruption and walking a lot further to school for these last few days of Term 4. MMS is running our annual Salvation Army Giving Tree donation and you are welcome to drop off non-perishable food items and UNWRAPPED children’s Christmas presents. Please place in the box at Brighton and under the tree at Caulfield. Any enquiries, please contact Sarah Jane. 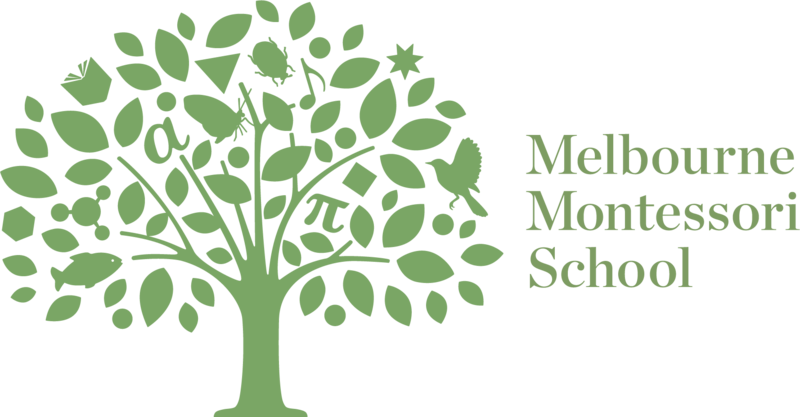 We have had a fabulously busy year at Melbourne Montessori School and we wish all our parents, children and staff a safe and joyful holiday time; a fabulous rest and a wonderful start to 2019!